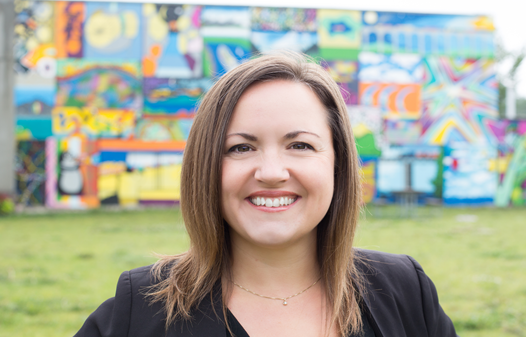 Carissa Halton’s writing about urban culture, politics and design has appeared in many publications including: Today’s Parent, Alberta Venture, Postmedia Newspapers and Azure. 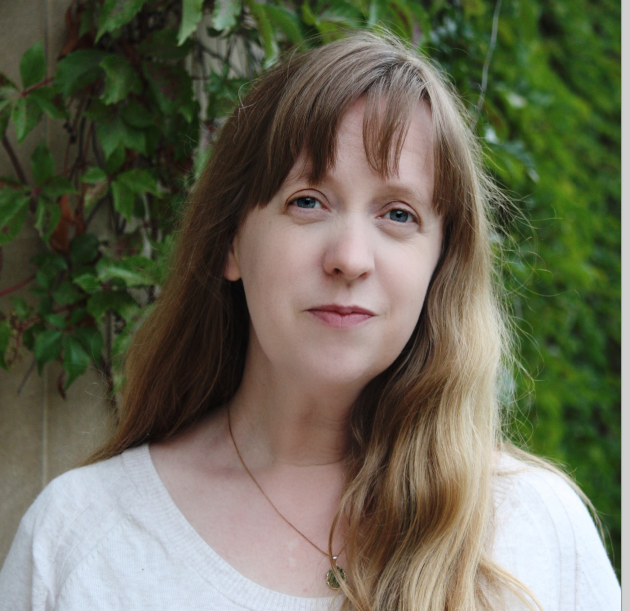 Her creative non-fiction essays have been published in anthologies and have garnered her an Alberta and National Magazine Award. Her first book, Little Yellow House: Finding Community in a Changing Neighbourhoodopens a new window, is a series of essays about life in Alberta Avenue and was published in September 2018. While most of her published writing has been creative non-fiction— both journalism and life writing— it was not exactly an early dream. As an elementary student, she was pretty sure she would become a fantasy writer; as a high school student, she was pretty sure she’d become a mystery writer. In short, her writing passions adapted to her reading passions. Then, after completing her BA in political science at the University of Alberta, she’s worked in a variety of different roles where reading and writing were not at all creative (but critical! ): as an inner-city non-profit managing director, a political advisor to government ministers and a communications consultant. Writing non-fiction, in the end, was something she fell into as a means to pay for her dream to work as a professional writer and it has become something she loves. There are so many great, funny, bizarre stories in the world that are completely true, and her work has enabled her to meet the most inspiring, funny, bizarre people behind the stories and they have shaped her life. No matter what work Carissa has done, telling stories has been at the centre of it and, in fact, this non-writing work has strongly shaped her writing. For instance, her narrative style and voice tends to reflect oral storytelling forms that she built as a long time tour guide in the Crowsnest Pass (where historical stories are rich and complex) and at Fort Edmonton Park. Further, the themes she returns to in many of her essays are clearly shaped by her work with vulnerable groups in Edmonton’s inner city. 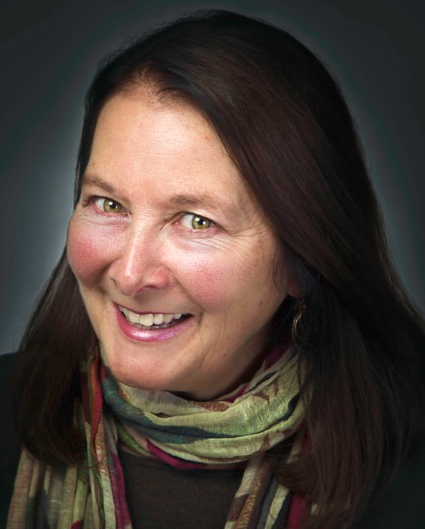 While some strategy may have went into her pursuit of non-fiction writing, curiosity, empathy and narrative form is what guides her work as a professional writer. More information can be found on Carissa's websiteopens a new window. Her book, Little Yellow House: Finding Community in a Changing Neighbourhood opens a new windowcan be found in our collection. Jennifer Quistopens a new window is the award-winning author of three novels, all of them set in contemporary Alberta. After careers in social research, journalism, and stay-at-home-mothering, she is currently a PhD student in Modern Languages and Cultural Studies at the University of Alberta. Katherine Kolleropens a new window writes for stage, screen and page. Her trilogy of Alberta Landworks plays includes Last Chance Leduc, The Seed Savers and Coal Valley and her collection of plays is Voices of the Land: The Seed Savers and Other Plays. Her six-part web documentary, Sustainable Me, features Edmonton youth changing their world (sustainablemeyeg.ca). Art Lessonsopens a new window, her first novel, was a finalist for both the Edmonton Book Prize and the Alberta Readers’ Choice Award. Her new book of short stories is Winning Chanceopens a new window. A recital reading of her opera libretto, The Handless Maiden, plays in Vancouver in June and her radio play, Hope Soup is part of the Edmonton Fringe Festival this summer. 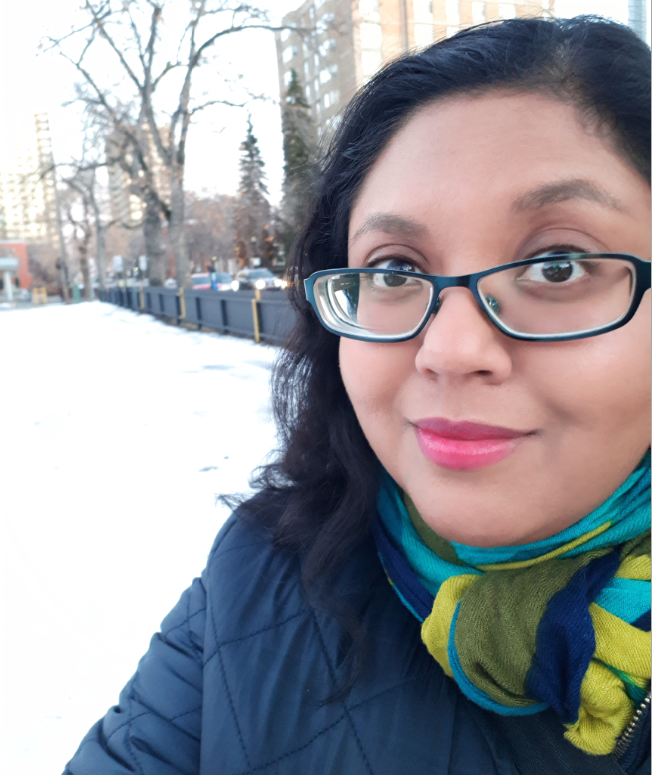 Premee Mohamed is an Indo-Caribbean scientist and spec fic author based out of Edmonton. Her short fiction has appeared in Analog, Pseudopod, Mythic Delirium, Automata Review, and other venues. Visit her official websiteopens a new window. Continue to watch Capital City Pressopens a new window for additional information on the writers and dates for future writing classes. Jennifer Snow grew up in St. John’s, Newfoundland and moved out West to complete her degree in Linguistics and Psychology in 2002. Halfway through a Bridge to PhD program, she realized she wasn’t pursuing her real passion. A trip down memory lane with her high school yearbook reminded her that her 18 year old self had promised to be a writer. So, she started writing again with a goal of getting her stories published. While on maternity leave with her son, Jennifer wrote and submitted her first holiday romance themed novella to a small boutique publisher in New York. They contracted the novella and her second one and her dream of becoming a published author had been realized. From there, she queried agents and started writing longer works of fiction. Since her first publication in 2011, she has published 21 books with various publishers, such as Berkley, Hachette Book Group, and Harper Collins/Harlequin. Her small town, sweet romance series, A Brookhollow Storyopens a new window, won many awards and her Colorado Ice novel, Maybe This Timeopens a new window was given a starred review from Publishers Weekly. In 2017, she decided to try writing a domestic thriller, with no idea whether or not she could pull it off. Luckily, her agent, Jill Marsal at the Marsal Lyon Literary Agency is a champion for her career and after many revisions, her first thriller, All The Lovely Pieces was sold to Amazon Publishing’s Thomas & Mercer in a two book deal, for publication in 2019 under the pen name, J. M. Winchester. Now, Jennifer/ J.M. has to somehow write another one. 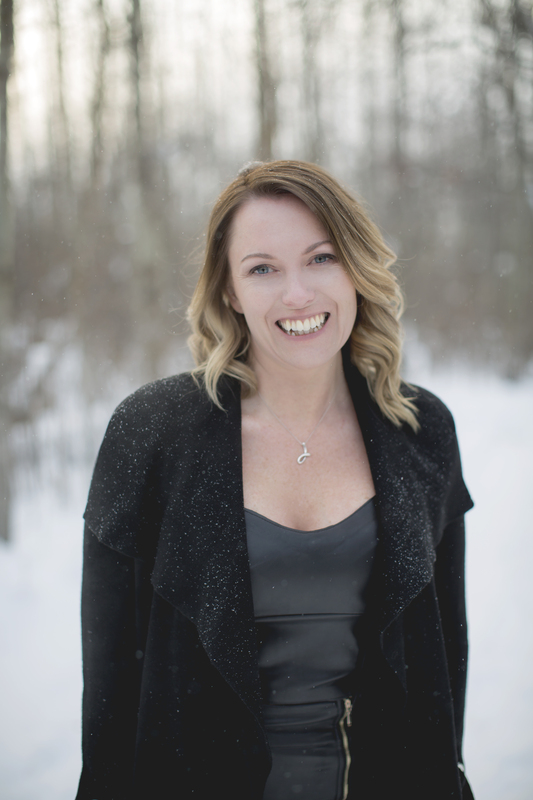 She recently signed a new contract for more single title romance books with Harlequin’s HQN line, with the first book, Mistletoe Rescue set for publication in November 2019. As well, her debut Women’s Fiction novel is currently out on submission, hoping to find a home in the new year. Jennifer has also recently started writing screenplays and scripts for television. She was offered representation for her film work in August 2018 and is now managed by JD DeWitt from 5 x 5 Productions and her first screenplay, a holiday rom-com, was picked up by them for production. She was a volunteer writer in residence at Audrey’s Books in 2017 and she has presented at many conferences world-wide. She loves inspiring and encouraging new writers to follow their dream to publication. Checkout the complete list of Jennifer Snow's booksopens a new window that are available at EPL.